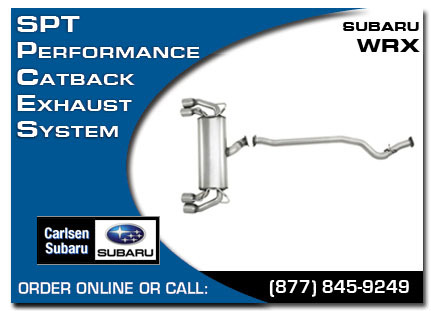 Carlsen Subaru offers a full line of Subaru Performance Parts and has many SPT parts in stock. Genuine Subaru Performance Tuning parts are engineered specifically to enhance the performance, endurance, and in some cases, the appearance of your vehicle. 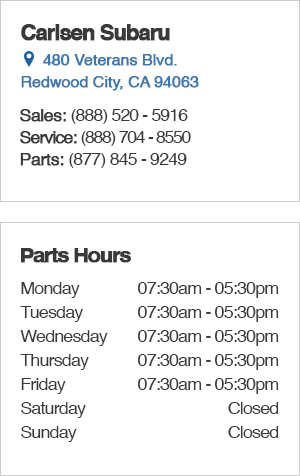 Visit our SPT parts department and let one our Subaru parts specialists show you how to customize your Subaru today. Carlsen Subaru also has a large selection of pre-owned Subarus and a huge inventory of new Subaru vehicles all available to customize with performance parts. Subaru Performance Tuning parts and Carlsen Subaru allow Subaru owners in the San Francisco, San Jose, Redwood City and surrounding areas the option of customizing their vehicles without asking them to compromise the quality and integrity of their Subarus. At San Francisco's SPT parts headquarters we are prepared to answer your performance tuning questions and make suggestion for increasing the performance and overall quality of your vehicle.